AFC Norwich was formed in June 2016 by employee, Ben Revell who wanted to do something that would get Aston Shaw staff involved in a team-orientated activity outside of work. With the goal (pun intended) of having the team mostly comprised of Aston Shaw employees, Ben set to work recruiting members for the squad. So far, 13 Aston Shaw employees have signed up to the team, which is a better than expected result. The rest of the team come from outside Aston Shaw. AFC Norwich plays in the Norwich & District Sunday league, division 3A and their home pitch is located at Sloughbottom Park. Since the team’s inception in June 2016, the team has been performing rather well, with AFC Norwich getting as far as the quarter-finals in the Sunday Junior Cup. The current season finishes at the end of March, and AFC Norwich can be found about midway on the league table. 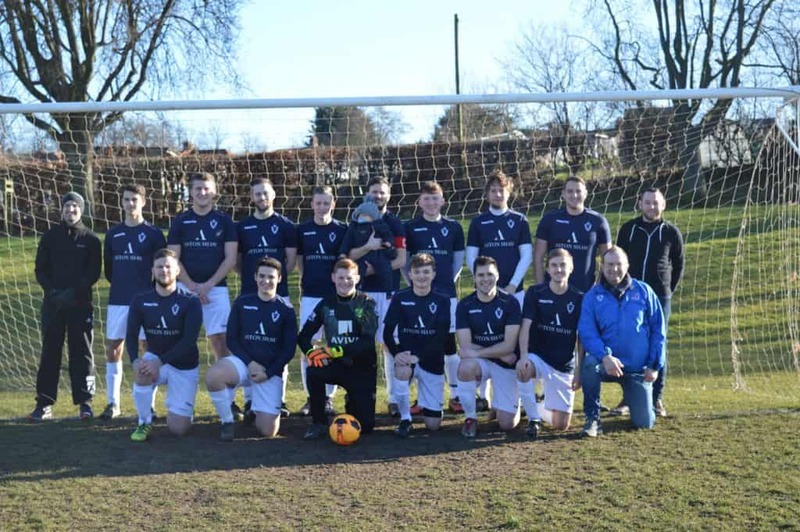 Mark Noakes, Director of Aston Shaw agreed to sponsor the team and fund the purchase of the new football kits, which can be seen in the below photo. AFC Norwich is captained by Ben Revell, with Lee Symonds as the Manager and Glenn Savill as the assistant manager. We hope you’ll join us in wishing them the best of luck for this and future seasons!